because I have done all my site with the old system it is all a mess the way it comes up. sorry Andi I am bit confused. I have uploaded the image of the print screen on a new page of my website. and then? Do I publish so you can see it? 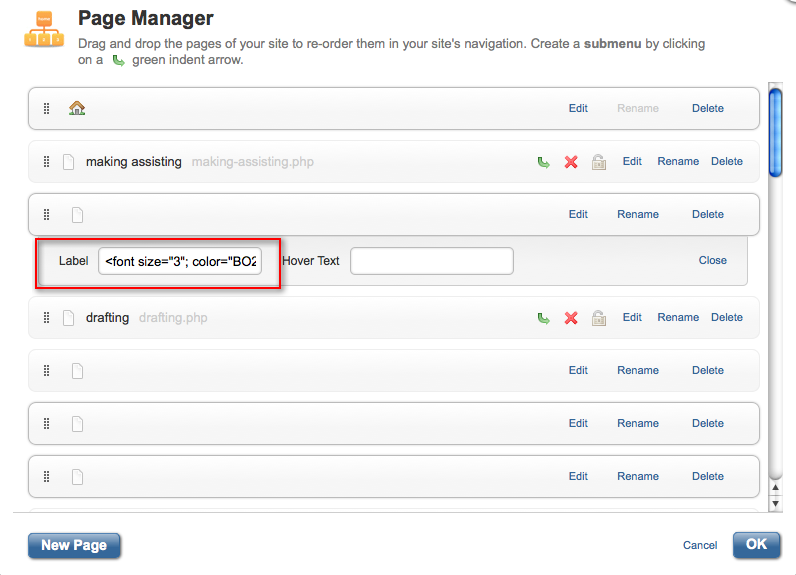 Why not add the code to a HTML widget on all of your pages. You could add: font-family:(font name here), Arial, Helvetica, sans serif or font-size: 14pt color etc. Thank you Andi - a perfect suggestion! Thanks Andi. I am not so good at codes. So far what I have managed is my following what other have written down on the forum. I don't know if understand how to add a widget to a whole page. I would love to try but in the meantime I CAN'T OPEN MY WEBSITE to work on them. Since this morning they don't load. And when I look at my website on line some data of my website doesn't load either!!!!! everything was going so well before. WHAT IS HAPPENING? I'm sorry to hear you are having trouble opening your site in the Sitebuilder. Can you tell us what happens when you try to open it, do you receive some sort of error message or does something else happen? Did this happen after you added a certain piece of code to your site? I don't understand. Where do I add the html widget? I have tried on different pages to add the code you gave me giving different codes for color or font, but no luck. I am not doing it rightly.